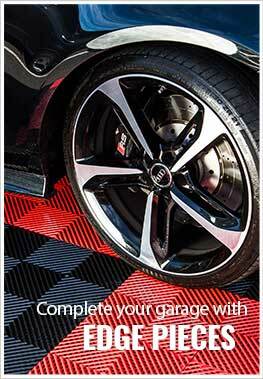 Description - Nitro Tiles have been engineered to be one of the toughest garage tiles on the market today. 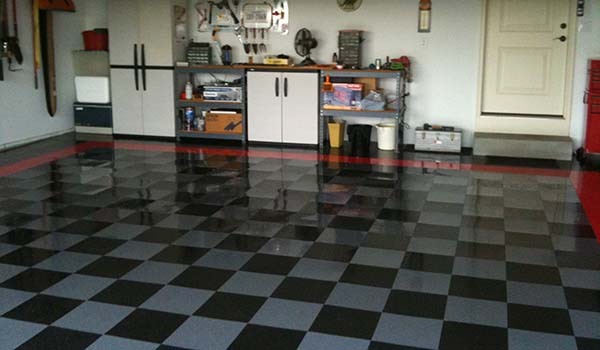 Easy to install and maintain, these hard plastic tiles have been engineered to resist staining from oil, gas, and most household chemicals. Constructed with impact resistant polypropylene plastic makes these tiles capable of withstanding heavy rolling vehicle loads. 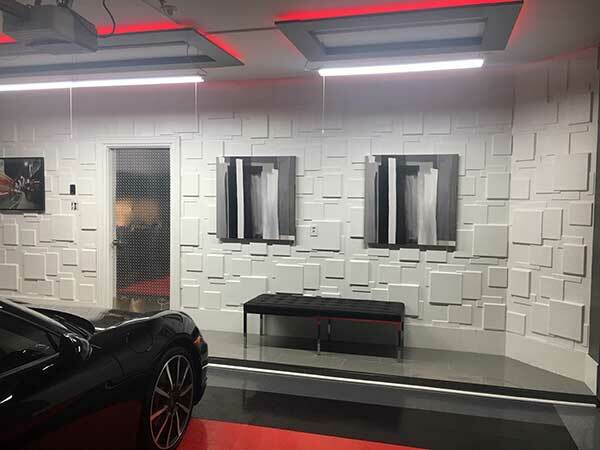 Featuring the ever so popular tread plate pattern, these tiles are certain to turn any garage from drab to the talk of the town. Nitro tiles are backed by a 3 year warranty. 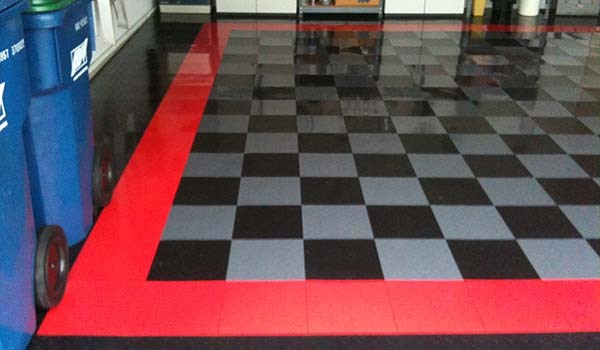 Recommended Uses – Nitro Tiles are the perfect multi use floor tile for any home or business. 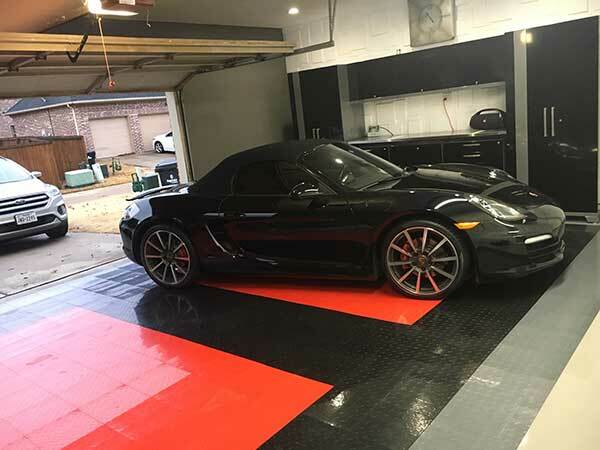 These hard plastic garage tiles are great as flooring for garages, trade show booths, in dealership showrooms, as flooring in storage sheds, in workshops, as car show display flooring and much more. Low profile design for increased durability. Constructed with impact resistant plastic. Easy to install snap together installation. My garage has a lot of dry old oil stains. Do I have to glue the nitro tiles? I think the garage was used as a machine shop. 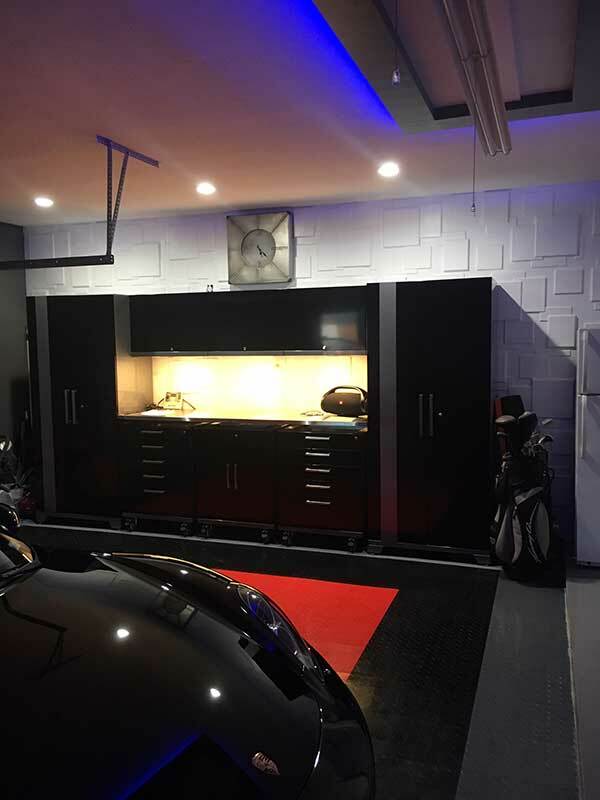 Our Nitro Tiles are meant to be installed as a floating floor, so no glue is needed to install these tiles in your garage. Is the Nitro Vented Pattern an actual flow thru tile or does it just look like one? Can the Vented pattern be mixed with the Diamond pattern when installing? Our Vented Nitro tiles are vented allowing water to flow through and under the tile. These tiles can be interlocked with both the Diamond and Coin patterned tiles. What do you recommend for cutting the tiles other than a sharp utility knife? Your can cut our Nitro Tiles with one of our Tile Cutters or with a table saw on low speed with either water or silicone to prevent melting. I was looking at the Nitro tiles in Sahara Sand, but I did not see corners and edges available in that color. If they are available, how much per piece? I am thinking of doing a 8X15 ft section in my garage. Thanks. Currently our Nitro Tile edges only come in black. Eventually we will add other colors to our edging assortment to match our tile color offerings. Can the Nitro tiles be cut with a regular power tile saw with a tile blade (no teeth like a table saw blade) and water? Our Nitro Tiles can be cut with a saw blade with water or silicone at a very low speed as not to melt the material. 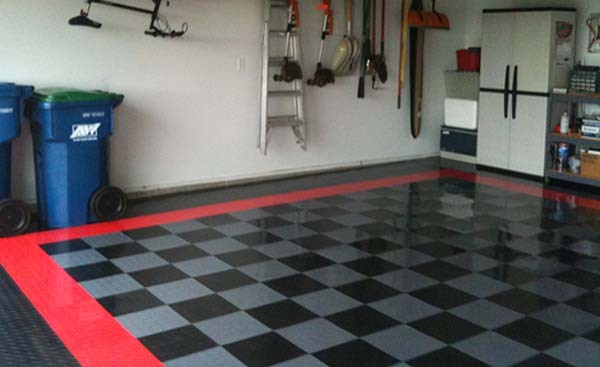 After searching locally and online, I decided to use Garage Flooring, Inc. as the supplier for my new garage floor. I searched their website, found a design that I liked, and placed an order for sample tiles. Happy with the samples, I placed my full order. 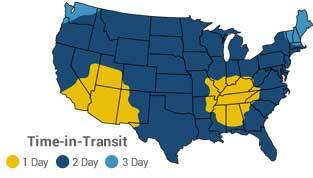 Their custom designer tool made the order process easy. The Diamond Pattern Nitro Tiles (black, graphite and victory red) arrived quickly enough and all in good shape. The tile assembly went smoothly as I used a rubber mallet to snap the pieces together. The tiles also snap apart easily if needed. I was able to assemble the entire floor (23’ x 21’), excluding the trim, in about 6 hours. I completed the trim in about 2.5 hours. For trimming, I used a hack saw and a utility knife. I was fortunate that the width of my garage allowed for a perfect fit using full size tiles, only having to cut the right side tabs off the final row of tiles. I am really pleased with the appearance of my new floor and so far it has been easy to keep clean. However, I am not completely satisfied with the tile performance. The tiles are very sensitive to direct sunlight… within a few minutes of opening the garage door and being exposed to the sun, the tiles start to buckle. Within a few minutes of closing the door, the tiles return to their flat state. This is extremely annoying and is keeping me from rating these tiles higher. I have had my floor for 3 years now. I live in Michigan and the snow and salt makes it get nasty. but clean up is easy . Flooring still looks like new.